Ever since Ethereum started gaining some momentum, there has been an aura of speculation as to whether or not the project is directly competing with Bitcoin. While this is clearly not the case, the success of Ethereum—so far—has opened up some exciting possibilities in the Bitcoin world. One of the biggest selling points for Ethereum—among developers and blockchain enthusiasts, at least—is the usage of smart contracts. Unlike any agreement between humans or enterprises in the real world, a smart contract exists on the blockchain, with little or no paperwork involved in the process. Moreover, a smart contract can be executed autonomously, as there is no need for human oversight or third-party involvement in general. Not only will this aid in reducing corruption and fraud between business partners, but it also creates a trustless environment where autonomous software can complete these types of transactions in a cost-efficient and transparent manner. Various startups, such as Rootstock.io for example, are working hard on bringing the same functionality to Bitcoin and its underlying blockchain. 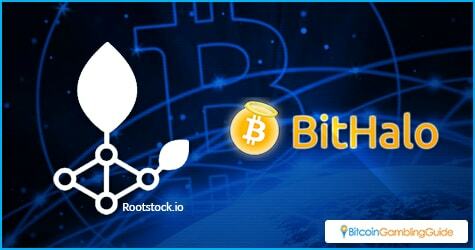 Initiatives like these have been attempted in the past, as BitHalo offers a similar service for quite some time now. However, that solution seemed to be ahead of its time, and the solution was never embraced fully. Smart contracts also play a significant role in crowdfunding and crowdsales by cryptocurrency companies. Due to the nature of such a contract, funds can be sent to a designated address rather than involving an exchange platform. Funds will only be sent when major milestones are achieved, which can be predetermined in the smart contract rules. It is clear for everyone to see the development strategy for Ethereum is vastly different from Bitcoin. The Ethereum developers are focusing their attention on building applications and platforms on top of their own blockchain, with a primary focus on a distributed and decentralized approach. Bitcoin, on the other hand, has more of a “currency” appeal, focusing on tackling the monetary side of the financial equation. Bitcoin is a very cheap and effective solution for remittance, money transfers, and payroll processes. Ethereum could lend itself to such purposes as well in the future, but that is not the point of emphasis right now. Not that there is anything wrong with that either, as building out the monetary side of things is equally as important as the blockchain itself. Distributed and decentralized solutions are of the utmost importance in this Information Age, and when both worlds come together, exciting things are bound to happen. One of the more recent projects to be released is called BTCRelay, and it effectively bridges the gap between Bitcoin and Ethereum. To be more precise, BTCRelay allows anyone to send Bitcoin to the Ethereum blockchain, as this solution lets Ethereum smart contracts securely verify Bitcoin transactions without third-party involvement. 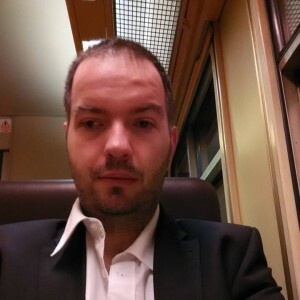 This project is open source, and the code can be found on GitHub. 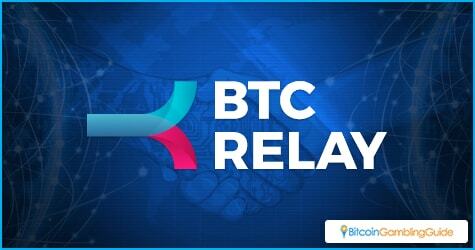 In fact, anyone in the world can run the BTCRelay software in a decentralized manner, as there is no dedicated hardware necessary. Moreover, anyone running this software will be rewarded with a portion of the transaction fees, which is never a bad thing either. Despite the key differences between Bitcoin and Ethereum, it appears both projects can bring out the best in developers of the other cryptocurrency. It is not unlikely we will see future collaborations between both ecosystems, as they see to offer something the other is lacking a bit. Exciting times are ahead, that much is certain.